We are Tobago's #1 locally owned car rental company. With customers from all over the world we offer exceptional customer service and clean fuel efficient rental vehicles when you want it. We pride ourselves on our use of new technologies that will help you feel safe and save you time. To get updates on deals and special promotions, subscribe with us today to make sure to keep up to date with all our latest information. Great car rental services. When ever I come to tobago I prefer to deal with them because they are always professional and treat me good. They really have great customer service. Plus the cars are always clean and fueled up. Great rental car service. 3 thumbs up. When my friends and I come to Tobago we always deal with them because of how they treat us. Very professional, always on time , courteous and the cars are always so clean. A great experience . Even got the chance to meet the owner directly, customer service is great , timely and efficient ! Would recommend to everyone . Great service ! A solid car and great service. I tried Sheppy's (the car smelled moldy and was very, very worn out) and Tobago Car Hire (they said they would deliver a car and never showed up. No call, no explanation.) before I found Oneil. I will never use any other company. The cars were always clean, well-cared for, and reliable. Mr. Oneil was a complete professional from the time he took the reservation to delivering the car on time to providing prompt and accurate receipts and calling in advance before he picked up the car at the end of the rental. AND the price is among the lowest on the island. My family and I recently rented 4 vehicles from O'Neil's Car Rental , and it was a hassle free experience, Mr O'Neil gave us exactly what was promised and it was all taken care of very efficiently. He was very professional with amazing customer service and the vehicles were in excellent condition and very clean. Next time I'm in Tobago, I'll definitely rent from him. Strongly recommend this car rental company. I definitely recommend O'Neil Auto Rentals when you're renting a car. Keilon was very professional. We got our car on time and at a reasonable rate. He made it easy for us to pick up and drop off, as we were about to get on a flight. We will definitely use this company again when we need a car. 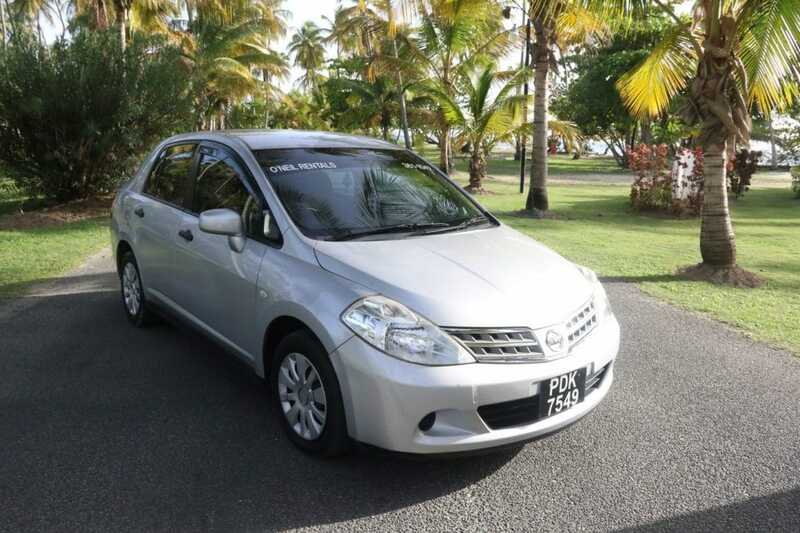 Rented with O'neil Auto Rentals last week during my stay in Tobago. AN excellent value for the island, and superior customer service. They will communicate via phone or text to coordinate your arrival. Car was ultra-clean and well maintained. Their location is just a couple hundred meters from the airport, easily walkable but they do offer pickups and drop offs - which is nice if you have luggage. Would definitely repeat. This is an operation in excellence. Mr. O'Neal provided an absolutely pleasant experience.We were contacted prior to our arrival and accommodation made the my adjusted schedule. The vehicle was delivered on time, clean and it performed well.Thanks for a hassle Free experience. Keep up the great work. Keilon and his team ensured I had a flawless trip to Tobago. They met me at the airport with a well appointed car that handled the roads well as I traversed the island.His team also picked up the car at the entrance to the airport so I did not have to carry my bags far. A great service!!! Very appreciative!! The ease of pick-up and return made my trip to Tobago even better! Rented a vehicle during July 2018 from O'Neil. It was a real pleasure to deal with O'Neil. Oneil is a very pleasant person and went out of his way to ensure that we were able to enjoy the use of the car. The vehicle was clean and in good working order. Would not hesitate to use his services again. My experience with O’neils Auto Rentals was far beyond what I expected. The manner and treatment we were given from the start to even after we returned the vehicle is what I deemed to be TRUE CUSTOMER SERVICE. They were friendly, patient, courteous, welcoming, and even accommodating when our flight got delayed til after midnight! The price was affordable and the vehicle was clean and in excellent working condition too! They’re definitely worth 5+ stars and worth recommending! You won’t be disappointed! Mr. Oneil and company, I will definitely be using your rentals again! Many thanks for your kind services! This is THE place to get your rentals in Tobago. I had last minute booking and they were very accommodating, the price @300tt/day is very affordable. The car I used was in great working condition, clean, and comfortable. Oneil did the drop off and pick up himself ; free of charge. The service was on time and always friendly. I already know there's no other auto rental I'd go to when in Tobago. 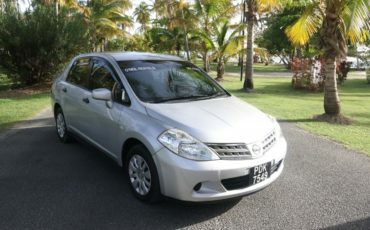 Excellent, efficient service from courteous and knowledgeable staff.Upon collection the vehicle was clean and remained reliable throughout my stay.The booking, pick up, payment and drop-off was streamlined and easy.I would definitely recommend and for sure I'm renting vehicles from them anytime I'm in Tobago. I didn't book the vehicle previously. I called less than 12 hours before my flight and Oneil reserved the vehicle for me. It was in absolutely a good condition and worked well. Will definitely use again. Thank you for the efficient and friendly service... communication is a must for any transaction to be completed smoothly and this auto rental certainly gives that... I highly recommend them to anyone visiting the island... Thank you!!! I rented a vehicle in September 2018. The process was very simple... The car was dropped off on time by Aaron and it was in an immaculate state. He also picked it up for us at the airport. The service was professional age very friendly. Lastly if it matters to some they are completely paperless. I'll be renting from them again. Great customer service responsiveness and pick up/drop off flexibility. I had some issues and my vehicle was replaced in a timely manner. We had some minor hiccups initially with receiving the vehicle but I was contacted and was explained of the situation. Another minor issue was with one of the functions of the AC in the car, the AC was adequate regardless. Overall satisfied.Sign up was simple. My second rental of a vehicle from O'Neil auto rentals and I found they were quite professional and punctual in dealing with there customers. I surely would recommend O'Neil car rentals. Stellar service. Called just to inquire if there were any cars available and in 23 minutes (yes i checked) one was being delivered to my resort. Car was new and in great condition. What I think makes them stand out above the rest is their level of professionalism and service; they are also entirely paperless. Prices are quite competitive. I can't see myself renting from anyone else, I would highly recommend them. This is a company with solid customer service. O'Neil was able to pull through and have a car delivered to us at airport soon after we arrived. His team was able to quickly run through the details of the vehicle with me and I was off on my adventure. Everything worked well (other than the Japanese voice when the car turns on). Drop-off was easy where the pick-up driver came to the airport and we settled the transaction. Easy peasy. I would suggest baking in the cost of filling the gas tank because customers may not have time to get to a gas station before drop-off or know this is a requirement. I still recommend this service because O'Neal works hard to get it right. Excellent car rental services, totally exceeded our expectations and dealt with with us in a timely and professional manner. Thank you O'neil Auto Rental, looking forward to using your company for rentals everytime, keep you the amazing work! Keilon did a great job for us. We booked from Canada and he was very pro-active assisting promptly over the whole process of booking and handing out the car (delivered at our hotel parking) by using different communicarion channels - phone, What's App, email. Price was reasonable. Renting with O’Neil was a breeze. 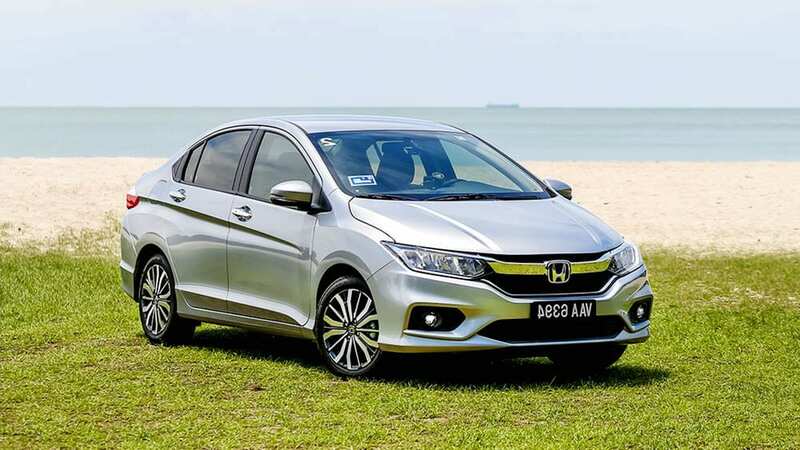 I called from the States a few days before our arrival and was able to confirm a car at an affordable rate large enough to accommodate luggage and booster seats for a family of four and was told a rep would meet us at the airport upon our arrival. Our connection to Port of Spain caused a delay and they were flexible and Aaron met us promptly when we got to Tobago. The car was new and clean. Payment was done using credit card through secure online invoice system. Returning the car to the airport was super convenient as O’Neil met us right at the curbside. Will use with each visit to Tobago! Rented a car from O'neils last week. They are going to be my go to car rental agency for future visits to Tobago. I must of called Keilon a half dozen times during my visit, with call about radio stations, gas and other little things, and he answered every time. Affordable rates.Great customer service. Can't go wrong renting from Keilon and his team. Top class service, was met at the airport with the car which was of an excellent standard, the car was picked up from our accommodation, couldn’t recommend them highly enough. It was indeed a pleasure having a vehicle rented from O'Neil's. Had previously made arrangements to rent with another company. Having missed my flight and reaching later than planned, the other company was rude and didn't deliver. At that time, I made contact with O'Neil at 9:30pm. He answered and assured he will send a shuttle to take us to our resort and have the vehicle delivered the next morning to our venue. Within 15minutes the shuttle arrived. The next morning, although he said by 10am his representative Aaron will be there, Aaron was there EARLIER at 8:30am. The drop off was prompt, professional, cordial and paperless. Will defintely be using again on my next trip to Tobago. *24hrs*good rates*good vehicle*good customer service*paperless transactionWorth everyone of the 5 stars given. Pick up and drop off was quick and easy. Key fob was a bit buggy, possibly because battery was low. Good condition, clean and reliable vehicle (Nissan Note) otherwise. It was indeed a pleasure having a vehicle rented from O'Neil's. Had previously made arrangements to rent with another company. Having missed my flight and reaching later than planned, the other company was rude and didn't deliver. At that time, I made contact with O'Neil at 9:30pm. He answered and assured he will send a shuttle to take us to our resort and have the vehicle delivered the next morning to our venue. Within 15minutes the shuttle arrived. The next morning, although he said by 10am his representative Aaron will be there, Aaron was there by 8:30am. The drop off was prompt, friendly and paperless. Will defintely be using again on my next trip to Tobago. *24hrs*good rates*good vehicle*good customer service*paperless transactionWorth everyone of the 5stars given. Had the best rental experience with O'neil's Auto Rental. Mr. Oneil and Aaron was an absolute pleasure to deal with. Will definitely be using your service again. Best deals of good working reliable vehicles at an affordable price. Feel free to reserve your vehicle for your next trip its easy and hassle free..... thanks guys. The reviews were authentic indeed. Car was clean. People were professional. No time wasters. Got a car in no time. I will do it all over again. Good service. On time. Keeps his word ! Excellent, efficient service from courteous and knowledgeable staff.Upon collection, the vehicle was clean and remained reliable throughout my stay.The booking, pick up, payment and drop-off were streamlined and easy.I would definitely recommend and for sure I'm renting vehicles from them anytime I'm in Tobago. Very pleasant and professional experience, excellent communication, vehicle was in great condition. Will definitely use the service again, highly recommended. Awesome customer service!! Keilon was a pleasure to deal with.. There was a small issue with the availability of the requested vehicle an it was swiftly addressed.. I'll definitely be using O'neil Auto Rentals again..
Service was excellent. My girlfriend and I was picked up from the airport and also offered a ride back to our hotel after renting the vehicle. Hassle free! Great company keep up the excellent job! I definitely recommend O'Neil Auto Rentals when you're renting a car. Keilon was very professional. We got our car on time and at a reasonable rate. He made it easy for us to pick up and drop off, as we were about to get on a flight. We will definitely use this company again when we need a car. Excellent service!! Excellent service - met me at airport on time with no fuss, no stress. Highly recommend your services to my friends and family. Was great service . Clean friendly and helpful and really good prices . When I came to tobago I was blown away by the service off the bat! Then followed by the clean vehicle I was advised on taking while my stay there! I'll definitely be back! Great car rental experience. Very Professional. Thanks Oneil Auto Rentals!! Great car rental service. We use them for our clients a lot and they go above and beyond to make sure things go right and their clients are well taken care of. Great car rental service with the greatest personell! Keep up the good work! 5 star customer service!!!!! Excellent!!! Excellent!! If i ever need car rental services, i will definitely use you again soon. Thanks again! Will definitely be using you guys again soon! Excellent and efficient service! Car was up to mark and the person we felt with was very professional! Rented a car from Oneil's with my buddies for great fete weekend. It was a good experience. Cars were clean we got it right when we needed it for and even when we lengthened our stay Oneils Auto Rentals had no issue facilitating us I'd rent from them again. Excellent, prompt, professional service. Undoubtedly, best car rental company in Tobago. Thanks for everything guys!!!!!! Great customer service and cars. I usually rent long term and the deals are always reasonable! Prompt delivery as well. I recommend this rental company to anyone!